Connective tissue or fascia is regarded as the universal tissue, as is all the structures of the body and performs many functions which until now did not have in mind. In the world of Anatomy and sport had always regarded the connective tissue as a passive and structural complement, to undervalue him to propose it as a disposal or mere wrapping tissue. Today, despite a lack of common definition, the fascia we can consider as “an organ of connective tissue that forms a continuous functional, highly innervated, which brings stability and mobility comprising a three-dimensional network whose main structure is collagen and water”. “Trigger point therapy”, can be used as myofascial release is a therapy of soft tissue that can relieve chronic muscle pain caused by scar tissue in muscle (myo) adhesions fascia. The connective tissue fascia that surrounds most of the structures within the human body, including muscle. The Fascia supports and protects these structures, but may be restricted due to disease, overuse, trauma, infectious agents, or inactivity, often results in pain, muscle tension, and the corresponding decrease in blood flow. The damaged Fascia is the main cause of chronic pain and decreased flexibility. A “trigger point“ is a small piece of muscle contracted strongly, cutting the blood supply to that part of the muscle resulting in irritation, mild pain. Trigger points are a key factor in headaches, pain in neck, back pain and many other common ailments such as carpal tunnel syndrome, sciatica, earaches and toothaches. To get a good body balance, proper posture and a nimble movement, we need a harmonious communication enter different body structures (tissues, muscles, organs, bones…) The maintainer of this balance is partly the lattice fascial capable of transmitting forces properly optimizing the tensions and autoajustandose thanks to body proprioceptive signals. Alterations of the fascial tissue. Alterations in the fascial tissue occur well disuse, well misuse or also by an overuse. When this tissue is altered, is disorganization, losing the ability to stress transmission characteristic and directly affecting our movement and posture. It has, and which take into account that this fabric allows the correct movement of the visceral organs so that an alteration of the same may also influence our metabolism. Generally alterations are seen as a more dense tissue, which creates adhesions and rigidities that they prevent a correct move and send incorrect information on our body status and our spatial situation so that the risk of injury increases. Connective tissue reacts and better optimized in multi-directional movements and few repetitions. To perform functional movements, multiarticulares and 3D allow the tissue to make the function that you configured provide the movement in real life. Repetitive movements in short series of intensity with prestiramiento favor the elastic mechanical reserve of tissues. The connective tissue, and especially the passive structures of muscle (tendons and perimysium) have a great capacity for elastic mechanical power reserve, which improves and optimizes the passive performance, thus optimizing the use of muscle contraction and therefore spending less energy. Variability in exercises and intensity keeps the tissue alert to react to unforeseen events, allows a good sliding between structures avoiding adhesions and stimulates a good irrigation of optimizing your feedback. 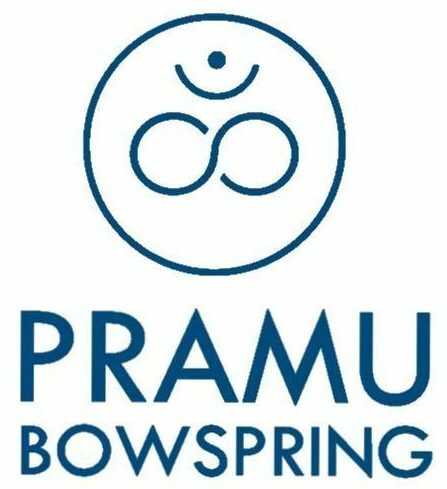 The positions of Bowspring are dynamic and in the exercises we are moving in all directions: back and forth, bow sideways, torsionamos and moving up and down. We also incorporate dynamic exercises like jumps and jump in our practice. In addition, balance postures are a great center of attention because they reveal universal imbalances that we all have. Active and high buttocks to the natural curvature of the lumbar back support. Expanded high back and broad shoulders. Neck and belly with curves and elongated.